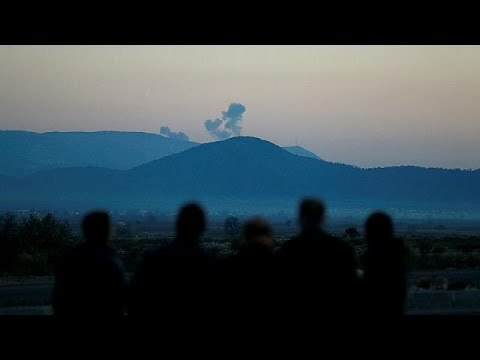 The Turkish military launched an offensive against Kurdish-held Afrin region over three weeks ago. The Turkish military has confirmed the deaths of the two soldiers since the announcement was made. The People’s Protection Units (YPG), who effectively fought the Islamic State in Syria’s northern region and are now under attack by the Turkish armed forces, also confirmed the helicopter was downed. A little over three weeks ago the Turkish government launched “Operation Olive Branch,” a military offensive against the mostly Kurdish militia YPG in the Afrin region. The United States had until now backed the Kurdish militias with military intelligence, air-strike assistance, weapons, and training in their fight against the jihadist group. That support proved to be useful as the YPG played a pivotal role in dismantling I.S, even taking the groups self-declared capital Raqqa. However, the U.S. decided to step back, saying that they no longer held an interest in Afrin. The Turkish Army is currently working alongside the Free Syrian Army and its offspring the Syrian National Army, both backed by Turkey against the Syrian official government. The U.S., France, the United Kingdom and Russia have urged the Turkish government to show restraint in its military incursion. However, neither Turkey’s NATO allies nor the Syrian government’s main ally, Russia, has taken direct action against Turkey for the attacks on Syrian soil. According to Hevi Mustafa, a Kurdish official and top member of Afrin’s local government, the Turkish incursion has killed 160 people, including 26 children and 17 women, and displaced 60,000 people. These numbers have not been independently confirmed, and Ankara denies the claim. British-based monitor group, the Syrian Observatory for Human Rights, reports the Turkish raids on Friday killed seven YPG fighters and two civilians. According to Turkish officials, the operations aim to establish a 30-km-deep “safe zone” across the border Syria-Turkey border. There are, however, fears that a Turk-led occupation of Afrin could bring about the ethnic cleansing of Kurds living there. None of the YPG´s former allies have provided military support to counter Turkish air and ground attacks. Since 2011, Syrians Kurds have formed three autonomous cantons in the north. Neither the U.S. nor the Syrian government supports the Kurds’ autonomy plans. Turkey has justified its military operation calling the YPG a terrorist organization. The Turkish government considers the YPG as an extension of the insurgent Kurdistan Workers’ Party (PKK) at war with the Turkish state since 1984. The PKK was formed in the late 1970s at a time when the Turkish government banned Kurdish language and culture. Currently, the PKK advocates for democratic confederalism within Turkey.